Westport Beekeepers monthly meeting is on Tuesday evening in the Teagasc Centre on the Newport Rd Westport @ 8.00 pm. Giving the talk at the meeting is the well known beekeeper and lecturer Ben Harden, best known all over especially on the internet for his “Simple method of Raising Honey Bee Queen Cells” Ben keeps bees himself and runs a beekeeping equipment supply business in Wicklow, he holds the NDB (National Diploma in beekeeping) as well as other beekeeping qualifications. Before his lecturer we have a bit of housekeeping business to look after. Don’t miss this one, because everyone is going to bring something away to benefit you and beekeeping. 8 o clock start! 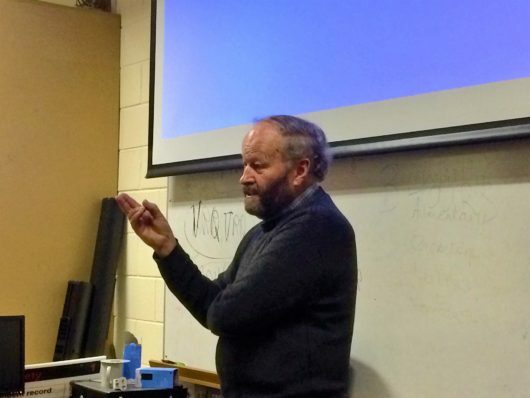 Ben Harden, a well known beekeeper and lecturer.